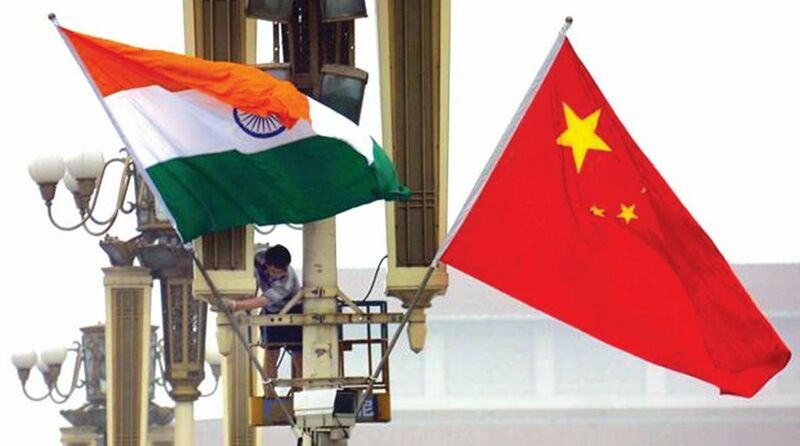 The year 2018 marked a new era in Sino-Indian ties after the 2017 Doklam military stand-off as top leaders of the two countries resolved not to allow bilateral differences to become disputes but there was no end to the stalemate in New Delhi’s relations with Pakistan despite the assumption of power by a new civilian regime in the country. The Indo-US relationship maintained steady progress despite differences between the two countries on some key issues like Iran’s nuclear programme and India’s military cooperation with Russia. For the first time, India and the US held a ‘2+2’ dialogue involving the foreign and defence ministers of the two countries. The two countries signed the India-specific Communications Compatibility and Security Agreement (COMCASA) which provides the legal framework for the US to part with its sensitive communication equipment and codes which will enable India’s security establishment to gather real-time operational information. But India ignored the US threat of punitive action under the Countering America’s Adversaries Through Sanctions Act (CAATSA) and went ahead with signing the mega S-400 missile defence systems deal with Russia, reinforcing its commitment to age-old military partnership with Moscow. India’s growing role in global affairs, particularly in the Indo-Pacific region, was quite visible at the G-20 Summit in Argentina where Prime Minister Narendra Modi attended a key trilateral meeting of the leaders of Russia, India and China on the one hand and another meeting involving the leaders of Japan, America and India, dubbed as ‘JAI (Victory)’. In a dramatic policy shift, India, which had hitherto been opposed to any role for the Taliban in the Afghan cauldron, shared the table with the fundamentalist outfit though at the non-official level at a multilateral meet hosted by Moscow to find a permanent solution to the crisis in the war-torn nation. However, India is clear that any solution to the Afghan issue must be Afghan-led and Afghan-owned and that the Taliban must eschew violence and affirm faith in the Afghan Constitution before being allowed to become a part of the peace process. India’s immediate neighbourhood saw the change of governments in Nepal, Bhutan and the Maldives, apart from Pakistan. The pro-China Maldives President Abdulla Yameen was thrown out of power in the elections in the Maldives, giving a sigh of relief to New Delhi. The new President Ibrahim Mohamed Solih has affirmed his government’s commitment to ‘India First’ policy. Lotay Tshering, the new Prime Minister of Bhutan, became the last top foreign guest to visit India during the year. But the most significant development was the India-China story in 2018 after the heightened tension between the two neighbours in the wake of the prolonged military stand-off at Doklam in the summer of 2017. The two leaders met on three more occasions during the year in Qingdao, Johannesburg and Buenos Aires on the margins of multilateral meetings, establishing unique personal chemistry between them. As the year drew to a close, the two countries launched a cultural and people-to-people exchanges mechanism that is expected to a long way in promoting mutual understanding. India is now looking forward to President Xi’s visit in 2019 for an informal summit. The two countries seem to have agreed to put contentious issues on the back-burner and concentrate on the subjects on which there are convergences. (PoK). China also continues to block UN designation of Jaish-e-Mohammed chief Masood Azhar and India’s entry into the Nuclear Suppliers’ Group (NSG), much to New Delhi’s displeasure. 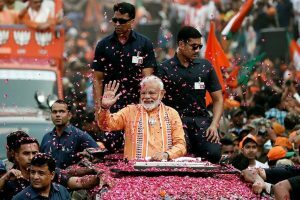 India’s relations with its other intransigent neighbour remained frozen in an environment of distrust and hostility during the year. The election of cricketer-turned-politician Imran Khan as Pakistan’s Prime Minister had raised hopes of a new beginning in India-Pakistan ties but New Delhi soon realised that he was following the dictates of the all-powerful Pakistan Army in pursuing ties with India. India agreed to a meeting between the foreign ministers of the two countries on the margins of the UN General Assembly in New York in September but cancelled it at the last minute because of Pakistan’s eulogisation of Kashmiri terrorists and the continued killings of Indian soldiers by the Pakistani side on the border. Pakistan agreed to India’s request for laying the Kartarpur Corridor to enable Sikh pilgrims to worship at the Gurdwara Kartarpur Saheb but this initiative also did not help the two countries mend fences with New Delhi continuing to accuse Islamabad of promoting terrorism in India. The resumption of dialogue between the two countries is now a possibility only after the general elections in India in 2019.